Numerous research studies have proven that if you can stimulate the body at certain levels, it will create a faster healing response. Cold laser therapy speeds healing. So, because we know the frequency at which the body is vibrating, we can match that frequency to light or sound or some other kind of vibrating energy, thereby stimulating the body to heal more rapidly. The cold laser (called that because it doesn’t generate heat) vibrates at the same frequency as the body when it’s in “healing mode” or when the cells are communicating optimally with each other. In other words, cold laser therapy provides a better long-term resolution in the healing process, and people recover more quickly. How Long Does Memphis Cold Laser Therapy Take? When patients have pain, it’s always due to some malfunction in the muscles, joints or nerves. This malfunction is what we call “injury.” Research has demonstrated that it takes four to six weeks for full tissue recovery. Cold laser therapy is designed to accelerate your healing time. We want you to regain optimal function in the shortest amount of time! Get in touch with us at (901) 821-0945 for a no-obligation appointment! 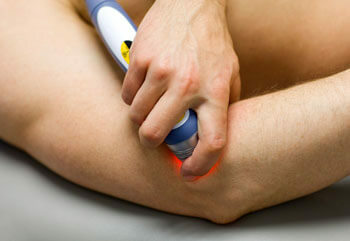 Memphis cold laser therapy is relaxing and can help reduce your pain. Don’t delay.